Mr. Franco recently worked at forex broker AvaTrade as marketing director of its Spanish operation. Multi-regulated forex broker RoboForex has named Alfonso Franco as the Director of its representative office in Spain. With an extensive background in Spain’s financial industry, Alfonso is now responsible for leading the strategic plan for different marketing activities that the company develops in Spain as well as for studying and implementing new growth opportunities in the country. 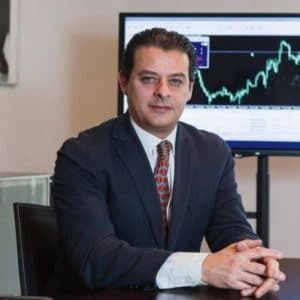 Prior to joining RoboForex, Mr. Franco worked at forex broker AvaTrade as marketing director of its Spanish operation, dating back to September 2016, according to information made public on his Linkedin profile. In addition, Alfonso spent more than five years as the Director of Spain at the FCA-regulated forex company Admiral Markets Group. Mr. Franco’s career has encompassed other senior roles including Financial Advisor at AXA Ibercapital and General Director at Talasso Patrimonios (Grupo AFI). While not currently known as a big player in Spain, the local presence and hiring of a domestic industry veteran is expected to make it easier for RoboForex to both market to and service customers. RoboForex Group is a provider of a full spectrum of trading instruments including forex, stocks, commodities and indices. The company has recently joined the cryptocurrency craze, adding access to contracts-for-difference (CFD) trading for both Bitcoin and Ethereum. Earlier in June, Finance Magnates spoke with Anton Ivanov, the Marketing Manager at RoboForex, about the current state of the forex market versus how it was a few years ago, the future goals of the company, and the upcoming challenges of MiFID II.